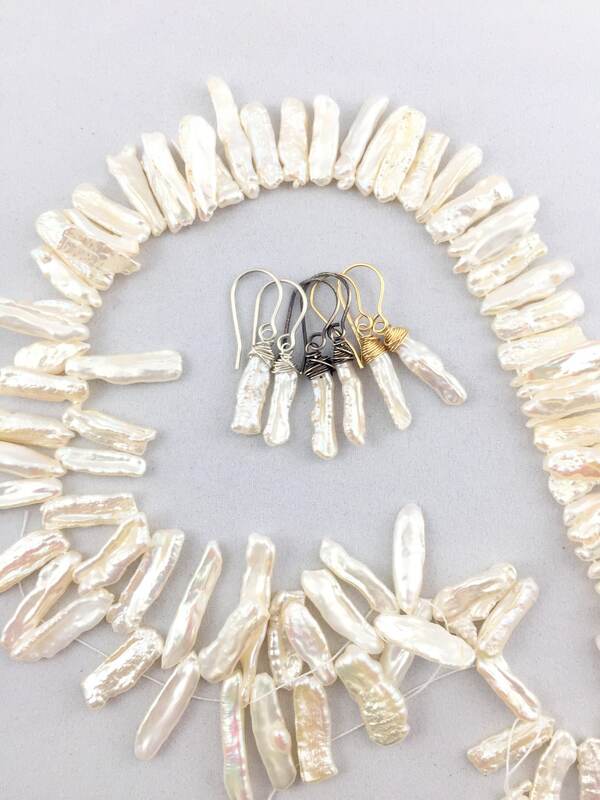 These luminous, long stick pearls shine with bumpy, freeform beauty. 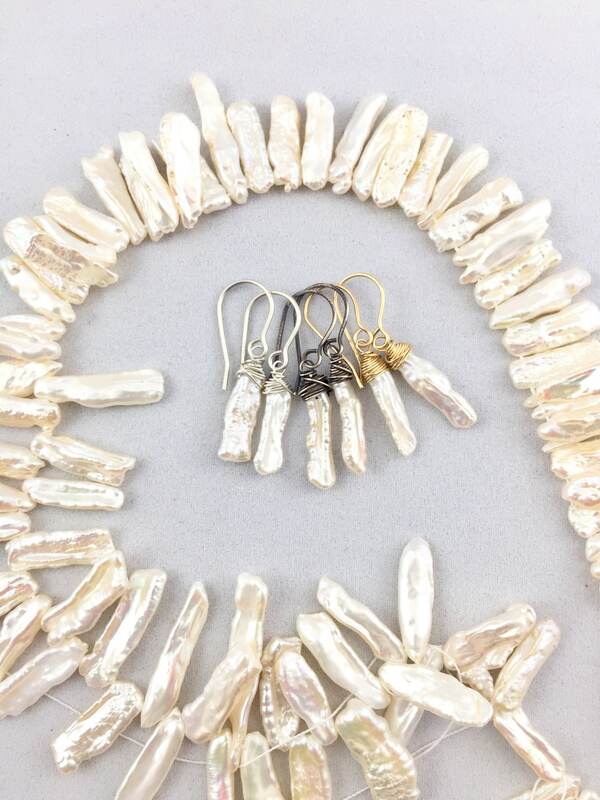 An unusual twist on classic pearl earrings, these make a great gift choice since they compliment any outfit. 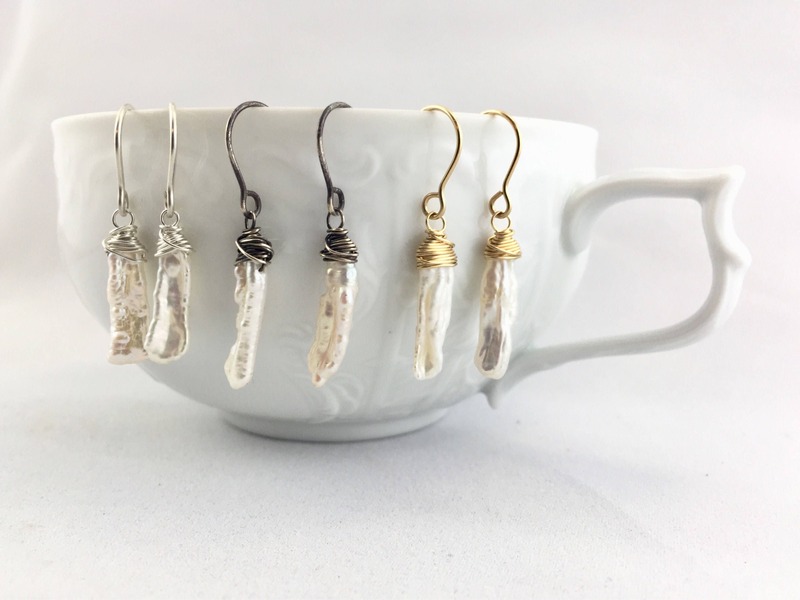 They are handmade by hanging the high-quality gemstones on sterling silver or 14k gold fill ear wires. All wire elements are hand-shaped, including the ear hooks. 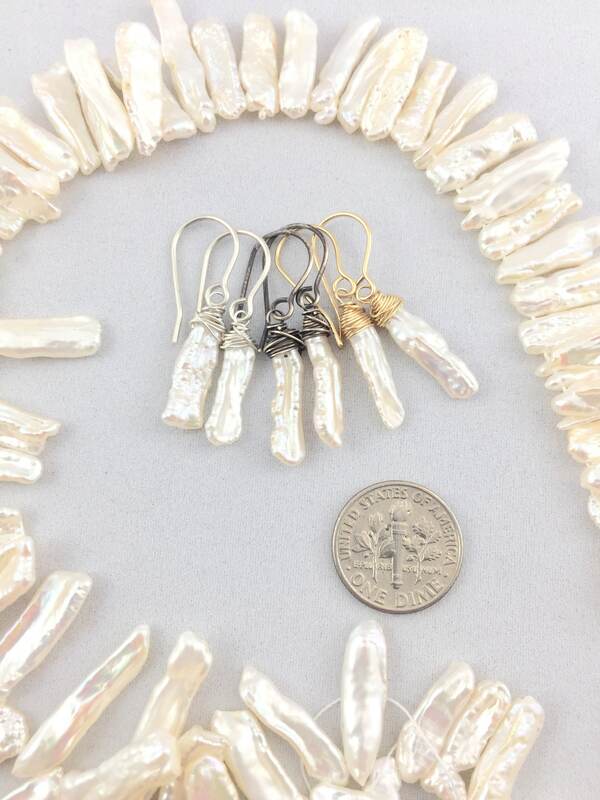 • The stick pearls are approximately 18mm x 5mm. 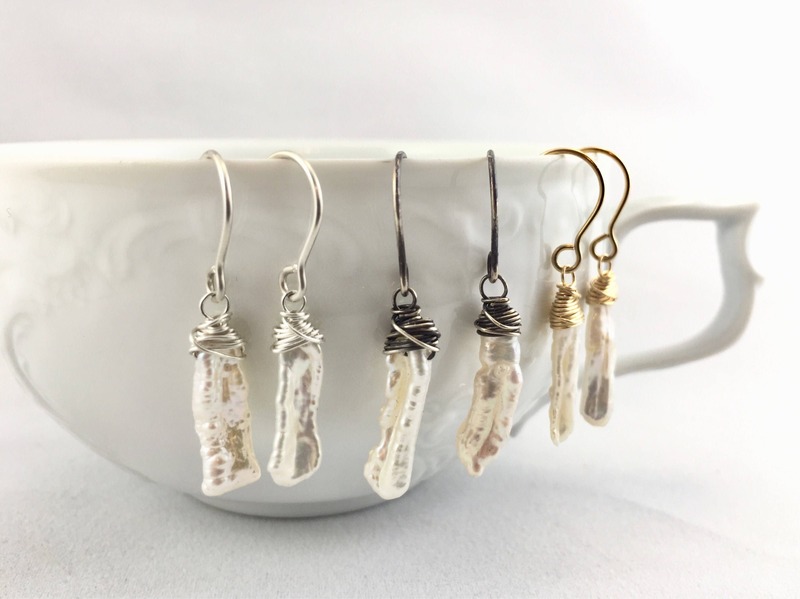 • You can choose at checkout between sterling silver, oxidized sterling silver, or gold fill. Never disappointed with Eryn’s creations! 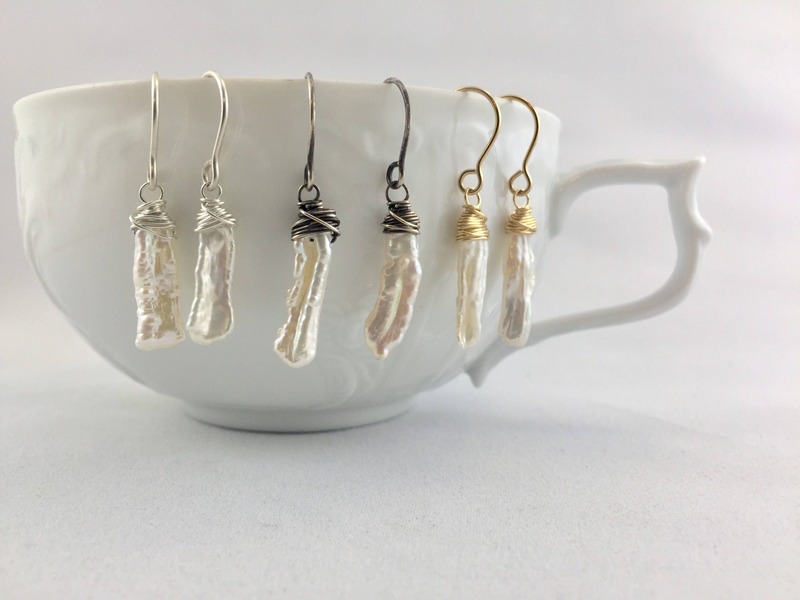 These earrings are incredibly delicate and edgy. I love the oxidized metal look! Fast delivery as always!